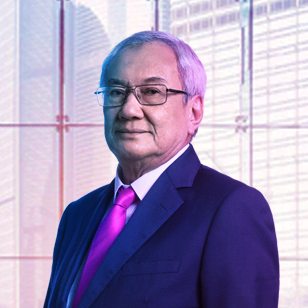 Malaysian, age 72, male, was appointed as Independent Non-Executive Chairman on 15 August 2012. He is also Chairman of our Nomination and Corporate Governance Committee. Tun Zaki holds a Barrister-at-Law qualification from the Lincoln’s Inn, UK. He joined the Malaysian Judicial and Legal Services as a Magistrate and was later transferred to the Attorney General’s Chambers where he held several positions for 15 years before going into private legal practice. He was appointed as a Judge of the Federal Court of Malaysia in 2007 and shortly thereafter, became the President of Court of Appeal of Malaysia, the second highest judicial office in the country. In October 2008, he was appointed as the 12th Chief Justice of Malaysia. He also holds the distinction of being appointed as the first chairman of the Judicial Appointment Commission until his retirement as Chief Justice in September 2011. He is the Chairman of the board of University Malaysia Sabah and the Chancellor of Multimedia University and MAHSA University. Malaysian, age 65, female, was appointed as Independent Non-Executive Director of the Company on 1 January 2014. She was re-designated as Senior Independent Non-Executive Director on 6 December 2017. She is also Chairman of our Remuneration Committee and a member of our Audit and Risk Committee and Nomination and Corporate Governance Committee. Datuk Yvonne Chia is a Fellow Chartered Banker and holds a Bachelor of Economics (Honours) from University of Malaya. 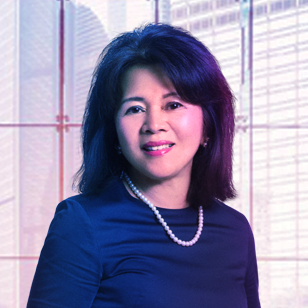 She has more than 30 years of experience in the financial services industry, having held leading positions in both foreign and local institutions. She started her career in Bank of America and held various roles in Asia. She was the former Group Managing Director and Chief Executive of RHB Bank Berhad (1996-2002) and Hong Leong Bank Berhad (2003-2013). She is the Independent Non-Executive Chairman of Standard Chartered Bank Malaysia Berhad and Standard Chartered Saadiq Berhad and is also an Independent Non-Executive Director of Hengyuan Refining Company Berhad and Silverlake Axis Limited (listed on the Singapore Exchange Ltd). She is also a Council Member of Asian Institute of Chartered Bankers and a Board of Trustee for Teach For Malaysia Foundation, and an Honorary Professor of University of Nottingham School of Economics. Australian, age 53, male, was appointed as Independent Non-Executive Director of the Company on 30 September 2016. He is also a Member of our Audit and Risk Committee and Remuneration Committee. Richard Freudenstein holds a Bachelor of Economics and a Bachelor of Laws (Honours) from University of Sydney. He is a media executive with extensive experience in the Australian and international markets. He was the Chief Executive Officer of Foxtel (2011-2016) and prior to that, he was the Chief Executive Officer of News Digital Media (the digital division of News Limited) and The Australian newspaper. He returned to Australia in August 2006 after seven years at British Sky Broadcasting Limited, the last six as Chief Operating Officer. 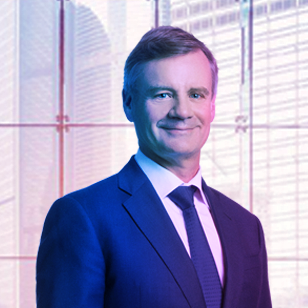 He is a Non-Executive Director of REA Group Ltd (listed on the Australian Securities Exchange Ltd) and formerly a Director of Ten Network Holdings Ltd, one of the Australia’s leading television companies, amongst others. Richard is the Deputy Chancellor and a Fellow of the Senate at the University of Sydney. Indian, age 56, male, was appointed as Independent Non-Executive Director of the Company on 1 December 2017. He is also the Chairman of our Audit and Risk Committee. Renzo Christopher Viegas holds a Bachelor of Commerce from University of Mumbai, India. He is a Chartered Accountant and Fellow Member of the Institute of Chartered Accountants of India. 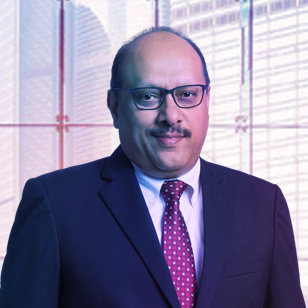 He has extensive experience in the banking industry and started his working career with Citibank in 1985 where he progressively held senior positions in various Asia Pacific countries including regional responsibilities until 2008. In 2008, he joined RHB Bank Berhad as Director, Retail Banking where he managed the consumer, insurance, hire purchase and SME businesses. In 2011, he was appointed as Principal Officer to oversee RHB Bank Berhad’s operations overall. Prior to joining CIMB Group in 2012, he last held the position of Deputy Chief Executive Officer, Retail & International of RHB Bank Berhad. Renzo was Deputy Chief Executive Officer of CIMB Group in April 2012, Executive Director of CIMB Bank from 2012 to 2015 and Chief Executive Officer of Group Consumer Banking from 2015 to 2016. Currently, he serves as Adviser to the Group Chief Executive Officer of CIMB Bank, responsible for the development of overall business strategies. Renzo also held the positions of Executive Director at CIMB Bank Berhad and Non- Executive Director of Sun Life Malaysia Assurance Berhad and Sun Life Malaysia Takaful Berhad. He is currently a Director of CIMB Bank PLC, Cambodia. Lim Ghee Keong holds a Bachelor of Business Administration degree, majoring in Finance, from the University of Hawaii at Manoa, USA. 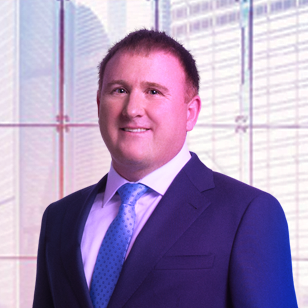 He has more than 20 years of experience in treasury and credit management. Prior to joining the Usaha Tegas Sdn Bhd ("UTSB") Group in 1995, he was attached to General Electric Capital Corporation in the USA and Ban Hin Lee Bank in Malaysia. He is a Director and Chief Operating Officer of UTSB, and he serves on the boards of several other companies in which UTSB Group has interests, such as Maxis Berhad (listed on the Bursa Securities), Tanjong Public Limited Company and Bond Pricing Agency Malaysia Sdn Bhd, a bond pricing agency registered with the Securities Commission Malaysia. 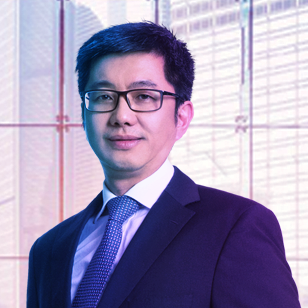 He is also a Director of Paxys Inc (listed on the Philippines Stock Exchange) and Yu Cai Foundation. Australian, age 45, male, was appointed as Non-Independent Non-Executive Director on 15 June 2017. Simon Cathcart holds a Bachelor of Engineering (Electronic) (Honours) degree from the University of South Australia. He also holds a Master of Business Administration (Honours) from the University of Chicago Booth School of Business. He is a media executive with more than 20 years’ experience in satellite, broadcasting and telecommunications. He is a co-founder and Executive Director of Fetch TV, Australia’s second largest pay television operator that provides a turnkey wholesale IPTV platform to the majority of Australia’s leading telecommunication companies. He is currently a director and acting Chief Executive Officer of MEASAT Satellite Systems Sdn Bhd and a director of MEASAT Global Berhad, the holding company of MSS. He formerly held various engineering roles at global satellite provider, PanAmSat and Telstra Corporation. Shahin Farouque holds a Bachelor of Science in Economics (Accounting & Finance) from the London School of Economics and Political Science, University of London. He has over 20 years’ investment banking experience. 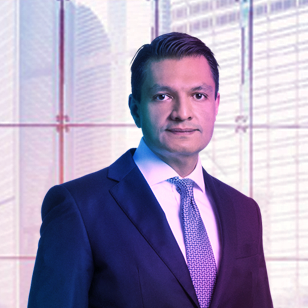 Prior to joining Khazanah in 2016, he worked with various commercial and investment banks in both domestic and regional roles. He is currently a Director in the Investment Division of Khazanah. He also sits on the boards of various creative and media companies within the Khazanah portfolio companies. Astro's Board of Directors sets shareholder interests first, and sees that the management continuously creates value by keeping a long-term view as well as maintains high standards of responsibility and ethics. The Board has adopted the following charters and guidelines, to form a corporate governance structure that protects the long-term interests of shareholders.